Grand Savings For A Grand Event! Celebrate the Grand Opening of our newly expanded Noël Luxury Outlet, featuring the finest selection of America’s top brands in home furnishings. Save up to 80% off on New Brands, Original Custom Art, Special Purchases and Noël Home Clearance items. Find the latest home fashions with unbeatable savings on the finest furniture, original art, rugs, and unique accessories. All available immediately! Whether you are looking for high-style or everyday home decor, you’ll enjoy the finest savings at the new, Noël Luxury Outlet! Visit our showroom today at 3133 SW Freeway located on 59@Buffalo Speedway. 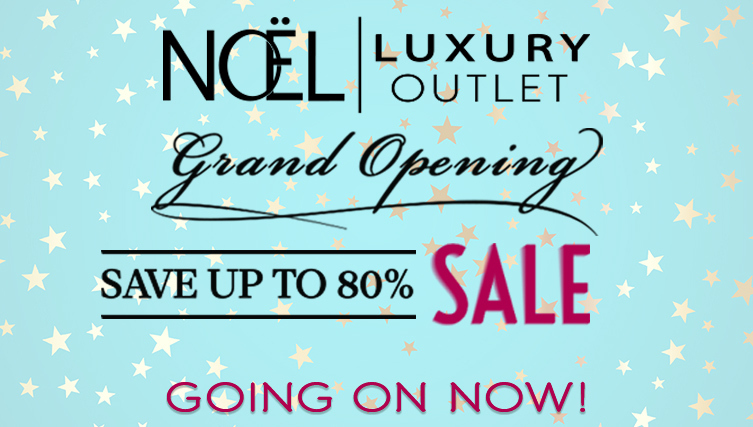 The Noël Luxury Outlet Grand Opening Event is Going On Now!